ChromaLuxe Brand Photo Panels are an exciting dimensional display/mounting option for images. 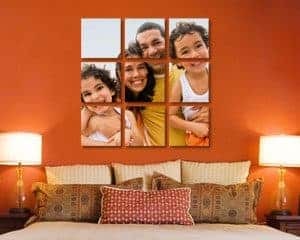 Produced in a range of popular photo sizes, Chromaluxe panels feature an advanced, highly durable and extremely smooth UV resistant coating bonded to 5/8” wood. Expect brilliant color reproduction and unsurpassed image clarity. They are also scratch and UV resistant with a long life span. 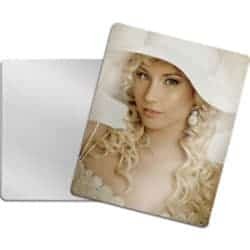 Designed to be digitally imaged using the sublimation printing process, ChromaLuxe™ panels are fabricated into a range of display configurations that include easel back panels, hinged multiple panels, and wall mounted large-format panels. Available in a range of traditional photo sizes as well as exciting new shapes Chromaluxe can be joined together to create stunning photo displays – perfect for a fireplace mantle, library shelf, or the top of an armoire. The hinged multiple panels are easy to assemble, sold as hinged pairs and middle pieces. With the two outer pieces, as many middle sections can be added as you like; they have slots for hinges on each side. A great idea for those panoramic photos from the new digital cameras, the panels could be arranged to show an entire mountain range, not to mention a very large family assembled in the foreground. 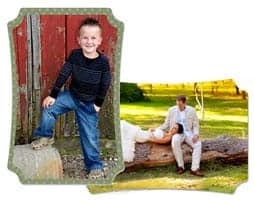 Families could be encouraged as a group to provide photos for each grandchild and they could be assembled for a fabulous gift for the grandparents, one that can be added to as the family grows.